It is well known that a hall-mark of cancer cells is an increase in the use of glucose – the so-called glycolytic switch is an early indicator of malignancy (a change that is a part of the Warburg effect – which is worth following up if you're interested). This greediness for glucose is exploited in PET scanning, where radioactively tagged glucose is injected into the patient and, several hours later, a scan is taken to track where the radioactivity has accumulated in the body. Tumours absorb much higher amounts of this radioactive glucose than the normal tissues, and show up as 'hot spot' on the scans. Tackling this greediness for glucose underlies a number of different approaches to attacking cancer, and one obvious avenue for this is to look at diet. Before we get into this, however, it's worth pointing out that many mainstream oncologists and dieticians are incredibly blasé about this topic. From our experiences in many different hospitals and with different doctors, we know that the mainstream advice for cancer patients is not to change the diet in any major way. Time and again we were told that keeping the calorie intake high and maintaining weight were the most important considerations. Any questions about limiting carbohydrate intake to starve tumours were simply dismissed as untested and unproven hypotheses and therefore best avoided. That said, there have been numerous studies that have looked at the influence of diet on cancer growth. Many of these have been rodent studies, but there have also been some patient studies performed, mostly these have looked at brain tumours (glioblastoma). Furthermore, much of this research has involved a ketogenic diet, which is a high-fat and extremely low-carb diet, which has been used clinically in the treatment of epilepsy. In terms of being able to follow this yourself, it's no easy task, this is an extreme diet, much more extreme than the strictest Atkins diet for example. Are there alternatives to the Ketogenic diet which are easier to follow and which still have positive effects on cancer? The first thing to point out is that many of the so-called anti-cancer diets which people have tried over the years are already low in carbs. 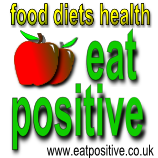 Whole food diets that concentrate on salads and raw veg, including lots of green veg, are inherently low-carb and part of the explanation for the effects that are sometimes seen are possibly related to this. Similarly, anti-cancer diets that include regular fasts will also have some influence on cancer growth. Note that the rationale for these diets may make no mention of lowered glucose; instead the positive effects are explained as being due to detoxification, increased alkalinity, the presence of anti-cancer compounds in the foods etc. and Prevents Cancer Initiation' by Victor Ho et al (http://cancerres.aacrjournals.org/content/71/13/4484), makes for interesting reading in that it looks specifically at non-Ketogenic diets to see what effect, if any, they have on preventing cancer and, just as importantly, on established tumours. The normal caveats apply in that this is a paper that uses mice models of cancer, so this is not a patient trial. However, the experimenters went out of their way to produce a diet that people could follow, and one which would not entail making the massive kind of changes necessitated by a fully Ketogenic diet. The first round of experiments involved a diet that was 8% carbs (i.e. 8% of total calorie intake came from carbohydrates), 69% protein and 23% fat. This is a equivalent to a modified Atkins diet that drops some of the fat (down from 50% fat to 23%), and substitutes more protein. This being driven by concern that high-fat diets may be pro-tumour, and that high protein diets may boost immune functioning. This first diet showed positive results in that blood glucose levels were lower in mice fed this diet, and that implanted tumours grew more slowly than control mice (about 50% smaller tumours at day 16). However, mice lost weight (down by about 20%), and there was concern that the slowed tumour growth was due to the experimental mice just easting less than control mice. The following rounds of experiments tackled this concern directly. Different diets were tried, with 15% and 10% carbohydrate being tried. In the end a diet of 10% carbohydrate (containing high amounts of amylose), 56% protein and 26% fat showed the best results. Tumour growth was slowed and the mice showed no significant weight loss. Blood glucose levels also dropped. More interesting still, this diet was tried with two anti-cancer drugs (the mTOR inhibitor CCI-779, and the Cox-2 inhibitor celecoxib), and the results were even more positive. In the case of cancer prevention, a low carb diet (15% carbohydrate), reduced the number of mice developing spontaneous tumours in a mouse species prone to developing cancer. So again, this was a positive result. For those people in high-risk groups, it is at least suggestive that a low carb diet is worth exploring seriously. Our study, herein, shows that a high amylose containing low CHO [carbohydrate], high protein diet reduces BG [blood glucose], insulin, and glycolysis, slows tumor growth, reduces tumor incidence, and works additively with existing therapies without weight loss or kidney failure. Such a diet, therefore, has the potential of being both a novel cancer prophylactic and treatment, warranting further investigation of its applicability in the clinic, especially in combination with existing therapies. Does this mean that all cancer patients should immediately start on low-carb, high-protein diets? As always care has to be taken when interpreting these results. First, and most obvious, this is a mouse model of cancer, not human disease. We are not mice, and what works in mice doesn't always work in humans. That said, in many of these experiments the mice used were immunocompetent, which is an important consideration. Secondly, we have to bear in mind that cancer is an enormously complex disease. Tumours are constantly evolving, changing in response to the local environment, mutating and developing resistance to treatments as time goes on. In the case of glucose addiction, it is known that tumours are able to develop alternative methods of respiration. For example, tumours are able to cannibalise other cells, and to develop complex feeding chains that mean cells in the centre of tumours are able to thrive on the by-products of cells closer to the surface. For example Dr Stefan Fais and his team, and Dr Michael Lisanti and his team have both explored in some detail the phenomenon of 'tumour cannibalism'. We also know that very advanced cancers continue to grow even when the patient is too weak and ill to eat. When the input of carbohydrate is down to an absolute minimum in these patients tumours develop alternative nutrient supplies and continue to thrive. Finally, we have to look in more detail at the form of diet that was shown to be most effective in both slowing tumour growth but also in keeping the mice healthy (i.e. no massive weight loss). The final diet used contained only 10% carbohydrate, and this was high in amylose (a complex carbohydrate). Finding a human diet with these characteristics is no easy task, particularly when it comes to foods with high amylose content. If anyone can shed some light on foods that are high in amylose and yet easy to incorporate into the diet then please leave a comment with this article. So, to put the paper into context, the results outlined here show that a low carb, high protein diet can help slow tumour growth. This is important, but it is not stopping tumour growth completely. However, there's some evidence that doing this at the same time as chemotherapy might be a good strategy. As always, please talk to your oncologist about this if you want to go further. Adopting a healthier diet makes sense for everybody, and cutting down on sugar and carbs is probably beneficial anyway. This does not mean that adopting the right diet can cure cancer, but it might slow it down, particularly before the disease has progressed very far. There are other meal plans that follow the same pattern as the ketogenic diet. The Warburg Effect is easily proven!!! Every day all over the world ! Diagnosing cancer by PET scan, involving injecting "radioactive" carbohydrate and then scanning for areas showing increased uptake and radiation, demonstrates that cancer cells are dependent on carbohydrate. Any logical person would therefore realize that starving cancer cells of their source of energy restricts growth and spreading of cancer. It is also essential that the low carb diet is supplemented by a high fat diet as the normal cells have to get their energy from fat. The low carb/high fat diet aims at selectively affecting cancer cells and not normal cells. It's not always so simple! Check out the Reverse Warburg Effect (I'll be publishing on this shortly). The high-fat part of the diet also deserves caution. Tumours may also be fueled by high fat - which is why the research discussed in this article suggests a low carb/high protein diet. Reverse Warburg effect is advocated by one research team, and all the papers are published by one strange publisher. This one is very suspicious.